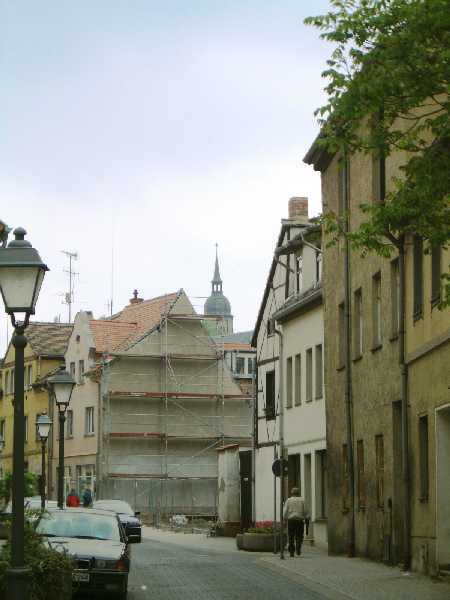 If you stand outside the door of the house where Martin Luther was born in Eisleben, you can see above the rooftops the towers of St. Andreas Church. You can walk to it in 5 to 10 minutes. St. Andreas is still in use today. It rises up on a hill in the center of the city, behind the late-Gothic old town hall and above the market square. It is the city’s highest church tower. After he breathed his last he was placed in a coffin to be returned to Wittenberg for burial, at the insistence of his Prince. Large crowds gathered at the city gates of the towns the funeral procession passed through. 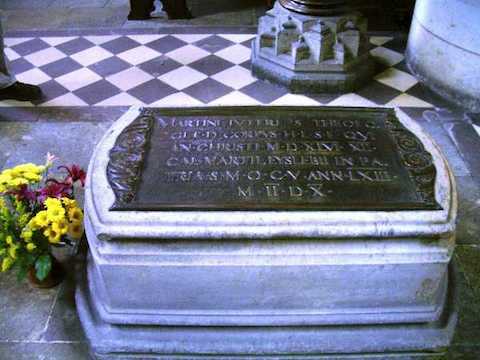 Finally, the procession arrived in Wittenberg and he was buried in the Castle Church, almost under the very pulpit where he had preached so many sermons. Today, on the tower of the Castle Church appear the words “Ein feste Burge ist unser God” the title of Luther’s hymn “A Mighty Fortress Is Our God.” On the black bronze doors of the church are Luther’s 95 Theses inscribed in Latin. When you walk in, you see them on the wall in German. 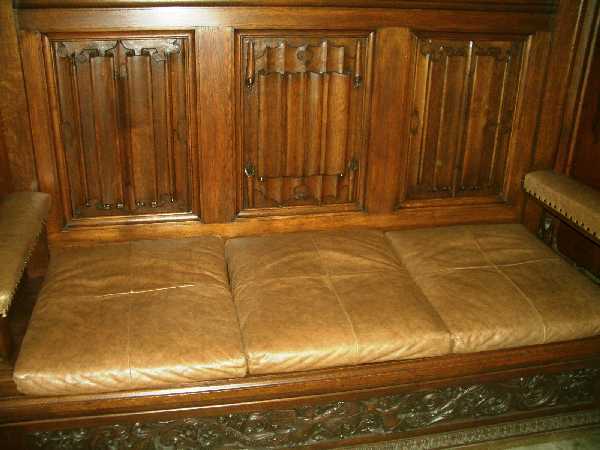 Before the pulpit, you see Luther’s coffin. 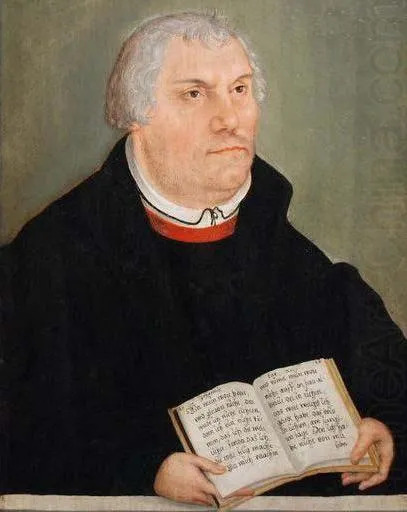 Perhaps Luther’s most important and most enduring contribution was to place into the hands of the common man the Scriptures in the common language. Germans no longer needed an intermediary to understand the Bible, they could read it for themselves. I wish to see all arts, principally music, in the service of Him who gave and created them. I would not for the world forgo my humble share of music. Singers are never sorrowful, but are merry, and smile through their troubles — in song. Music makes people kinder, gentler, more staid and reasonable. I am strongly persuaded that after theology there is no art that can be placed on a level with music; for besides theology, music is he only art capable of affording peace and joy of the heart… the devil flees before the sound of music almost as much as before the Word of God. He taught girls and boys catechism. He said they could burn all his other books, but his children’s catechism was one of his most important. Luther maintained that marriage was just as important as monasticism and accorded greater honor to a woman’s role in marriage. He toppled celibacy for the clergy, and for himself, though he didn’t marry until he was 42. Luther raised the status of women and broke new ground in “estate planning” by willing everything to his wife Katie, not to his oldest son, as was the custom. Some 110 volumes of Luther’s works have survived and hundreds of his letters. He preached thousands of sermons. He wrote scores of influential treatises using the newly popular medium of pamphlets, written in the common German tongue, not Latin.